Garage safety is not something most people consider until it is too late. It usually takes something drastic like a garage door crashing down on your vehicle or an intruder breaking into your home with your automatic opener before your realize that you have not been keeping your garage safe. There are so many simple steps you can take to ensure your garage door is secure and that your house cannot be accessed using the automatic garage door. The tracking along your garage door can bend or bulge overtime, especially if debris or gunk gets trapped inside it. 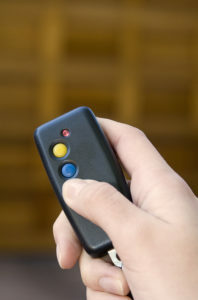 Spend ten to fifteen minutes once a month, wiping and inspecting your garage door tracking. Make sure to also tighten or replace any screws that are loose. This will ensure that your garage door stays suspended to your ceiling and smoothly glides along the tracks. Modern automatic garage door openers come with some pretty impressive safety and security features. Buying an opener with rolling code technology or fingerprint recognition software will keep your garage safe and secure. Perfect Solutions Garage Doors has a wide selection of different automatic garage door openers that all offer unique safety features. Some garage door materials, like aluminum, are easier to damage. 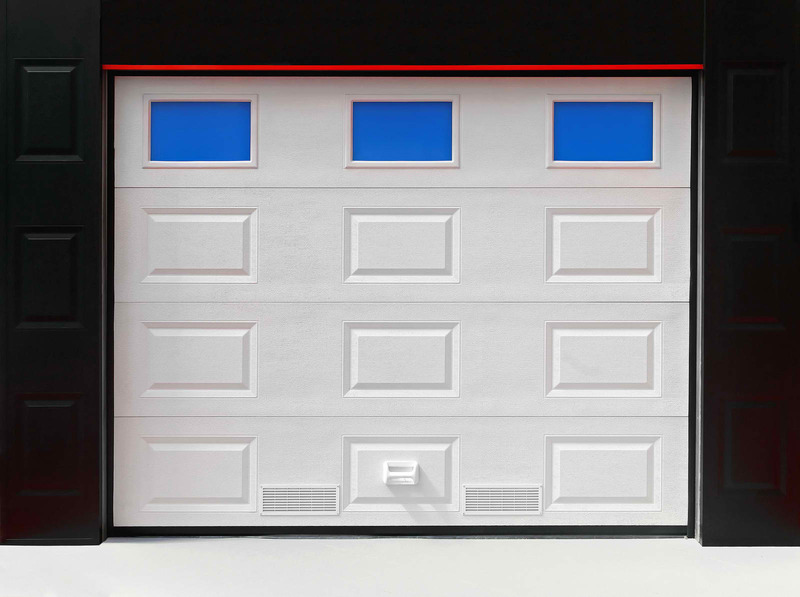 If you don’t feel your garage door is strong enough to withstand a hard kick, it is definitely time to upgrade to a more durable material like steel, thick wood, or fiberglass with a PVC overlay. So many people leave the door between the garage and their home unlocked. It might be more convenient to you and your family if it is left unlocked, but it is also easier for an intruder to get into the house. Hopefully you have a solid garage door and a state-of-the-art opener, so there is no risk of someone getting into the garage. I would still play it safe and keep the interior door locked. You can keep your garage safe by installing strategically placed sensor lights around your garage doors. You should also have a light inside your garage that automatically turns on when the garage door is opened. This will scare off intruders and make it safer for you and your family to enter the garage at night. Children should never play around with the automatic garage door opener. Hopefully your garage door has an auto-reverse sensor, which was made mandatory in 1993 to prevent children and small pets from getting seriously hurt by garage doors, but even if it does, it could still malfunction if they are abusing the controls. Garage doors require yearly maintenance and lubrication to keep them working properly. Perfect Solutions Garage Doors has previous blogs that will walk you through basic garage door maintenance. If you are not comfortable performing the maintenance yourself, please call us for a free quote. It is always beneficial to have your door inspected by a trained technician, especially if it is an older garage door. That is the best way to keep your garage door safe. The home improvement industry is filled with hard-working, reliable, and honest businesses. Unfortunately, it is also filled with some less-favorable scam artists who will take advantage of consumers if given the opportunity. The team at Perfect Solutions Garage Doors wants to make sure you know what to expect from a good garage door service technician, so you don’t end up spending more than you should. A good garage door service technician knows the industry inside and out. They should be able to offer insight into certain benefits of products and not simply push the most expensive option. It is a good idea to quiz the technician by researching some facts in advance. A good garage door service technician will thoroughly test and inspect the garage door to determine the exact cause of the problem. They will also recommend the most cost-effective repair. For example, if there is a crack in the wood around the hinge. A good technician will remove the hinge, fill the crack with wood fill, and move the hinge to a more solid location. An untrustworthy garage door technician will insist the entire door needs replacing. A good garage door service technician will cover both quick fix options for short-term use and more expensive long-term solutions. If they are giving you a quote to replace a garage door or automatic opener, they should show you all the different price ranges available. A good garage door service technician will arrive at your home with their pricing books for parts. They will know which items they have in stock and how long it will take for parts they don’t usually carry. Be careful about any technician that can’t give you a definite answer on the price or delivery of basic parts. If you give a technician an idea of what the problem may be when you make the appointment, they should arrive with some replacements parts on hand. Most good garage door service technicians will have hinges, rollers, bearings, springs, screws, and weathering strip in their company vehicle. This way they can tackle the problem immediately if you approve their estimate. Perfect Solutions Garage Doors has a solid reputation for being reliable and trustworthy. We would never jeopardize our future by trying to persuade a customer to spend more than they should. If you are concerned the garage door service technician you hired is not providing fair pricing, please call Perfect Solutions Garage Doors for a comparable quote. If the price is the same, at least you will know that the original company was trying to take advantage of you. Most people will only need to buy a new garage door a few times over the course of their lifetime. It is something you might update every 15 or 20 years, provided that there are no issues with it. Garage door technology and materials are constantly evolving, so it is important to do some preliminary research to ensure you get the best product and the best deal. If you are in the market for a new garage door, these are a few things you should know before approaching the first vendor. All of your options will be based on the size of your door. Certain sizes will require stronger mechanisms and more powerful openers. Measure the size of your current garage door or the intended size of the opening. Compare the measurements you get with standard garage door sizes on sites like Perfect Solution Garage Door. If you are unsure of the size of your door, you can always consult one of our professional installers. Perfect Solutions Garage Doors offers an extensive selection of garage door materials, including options that can be customized to suit the style of your home. The material you should choose for your door will depend on your budget and style of your home. If you decide to go with steel, make sure there is a topcoat designed to provide maximum rust protection. It should also be backed with rigid-foam insulation. 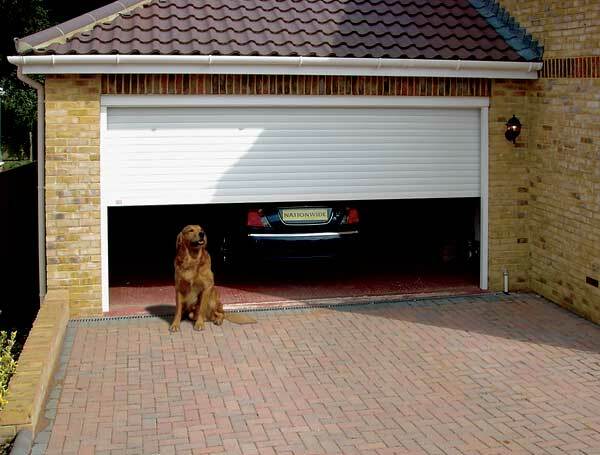 Automatic garage doors can come with many different safety features. For example, most doors that fold up in sections have shaped edges that gently push fingers out of the cracks when the sections start to close together. 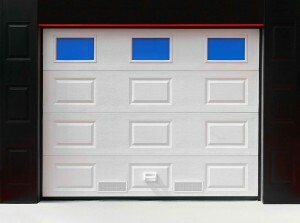 All automatic garage doors should also have an auto-reverse feature that stops the door from closing if there is an object detected in its pathway. This was made mandatory in 1993 by the Consumer Product Safety Commission. There are all types of different automatic garage door openers on the market depending on the level of security you require. 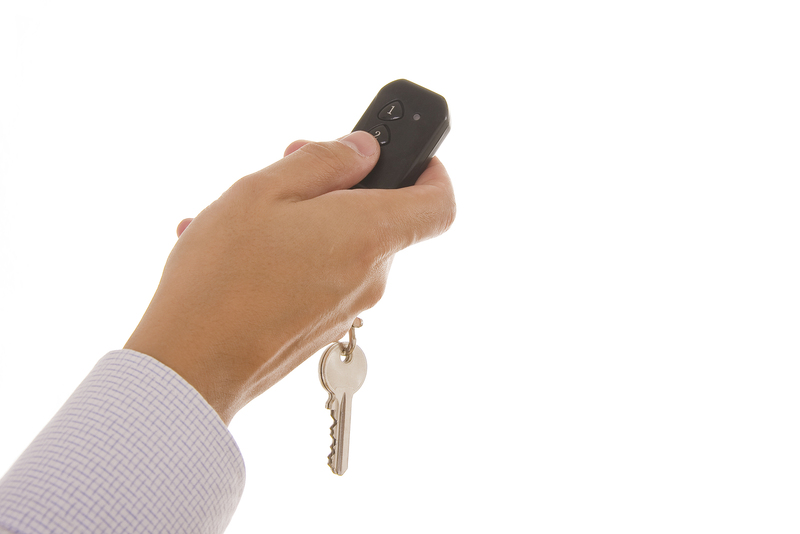 You can get a remote for your keychain, a mounted access control pad, or a system with fingerprint technology. Most openers allow you to select multiple options for added convenience. If you are interested in buying a new automatic garage door, start by doing a little research on sites like this one. Find out all your options and establish a list of preferences before requesting a quote. Perfect Solutions Garage Door will be happy to provide you with a free estimate on any of the options you are considering.